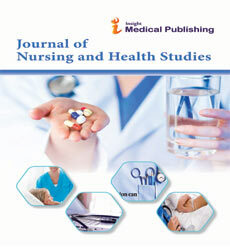 Journal of Nursing and Health Studies (ISSN: 2574-2825) is an open access journal which provides a forum for original research and scholarship about health care delivery, organisation, management, workforce, policy and research methods relevant to nursing, midwifery and other health related professions. Journal of Nursing and Health Studies aims to support evidence informed policy and practice by publishing research, systematic and other scholarly reviews, critical discussion, and commentary of the highest standard. Journal of Nursing and Health Studies focus on topics related to Healthcare Online Services, Health Literacy, Malpractice Risk, Patient Safety, Diagnostic Accuracy, Healthcare Financing, Nursing, Healthcare Materials, Health Informatics, Healthcare Policies, Health Promotion. The journal particularly welcomes studies that aim to evaluate and understand complex health care interventions and health policies and which employ the most rigorous designs and methods appropriate for the research question of interest. The journal also seeks to advance the quality of research by publishing methodological papers introducing or elaborating on analytic techniques, measures, and research methods. Palliative Care is an area of medical care where care is provided to the people suffering from a serious illness or life threatening disease. It treats people suffering from various serious illness such as Amyotrophic Lateral Sclerosis (ALS), congestive heart failure (CHF), cancer, Alzheimer’s, Parkinson’s, kidney diseases. Its aim is to provide relief from the symptoms and stress from serious illness. It improves quality of life and provide relief from pain and stress. Neuro-nursing is the field of nursing which deals with the care of the people who suffers from disorders of the brain and the nervous system. It is sometimes known as neural science which is one of the most specialized field of medicine. Patients with different disorders of brain like Parkinson’s disease, Alzheimer’s, brain tumors, encephalitis, multiple sclerosis and meningitis are treated in the neuro-nursing. Nursing informatics is the science that combines nursing with information technologies to promote health of people. The use of nursing informatics learning is enabling though human services professionals in accomplishing persistent focused couldn't care less. It encourages the joining of information, data and knowledge for supporting patients, nurses and others. Its main objective is to provide encouragement to the nursing practice and deliver nursing care. Pediatric nursing is the branch of nursing that deals with care of infants and children suffering from different disorders since their birth to adolescence. They provide immunizations, developmental screening and treat common illness. Pediatric nurse works together with pediatricians and other health care providers. Preventive care and expectant direction are vital to the act of pediatric nursing. Gerontological nursing is the field of medical science which deals with the care of the aging population. As elderly people are more prominent to diseases like Alzheimer's, osteoporosis, arthritis, therefore there is a much need to focus on the care of the old people, and as the aging population has fragile health hence they need to be given special care because a small issue can become a huge problem in the elderly. Maternity and Women's health Nursing is the area of nursing which deals with the care of the women during pregnancy. The Practitioners concentrate mostly on supporting ladies at the time of labor and during the time of delivery, they work at the patient's side to screen both mother and child, and to empower, mentor, teach and support. Maternity nurse teaches mothers about the needs and behaviour of the new born child. Maternity nursing is a quick paced claim to fame that includes a lot of patient contact. Psychiatric or mental health nursing is the area of nursing which deals with the people with mental illness or disorder like depression, dementia, bipolar disorder and many more. All the mental health patients are not mentally ill rather they might be suffering from stress or mental trauma in their life. The main objective of the treatment is to provide support to the patients who are suffering from various mental disorders in order to live a positive life. Community Health Nursing is the field of nursing that includes nursing practice and public health which helps in promoting and protecting the health of the community. The main objective is to promote the practice that maintains the population health by improving the health of the families, individuals and group of people. Nursing Education is a field of nursing that works to provide theoretical and practical training to nurses with the purpose to prepare them for their duties as nursing care professionals. Research topic includes nursing & medical curriculum development, evaluations of performance, assessment of training needs and evidence-based medicine. Effective Teaching Methodology at Clinical: CIM or Written Assignments?